After a loaded sophomore season that unmasked the Black Hood next door and sent the town to the brink of civil war on multiple occasions, how does Riverdale kick off season three? With some sweaty courtroom drama, of course! 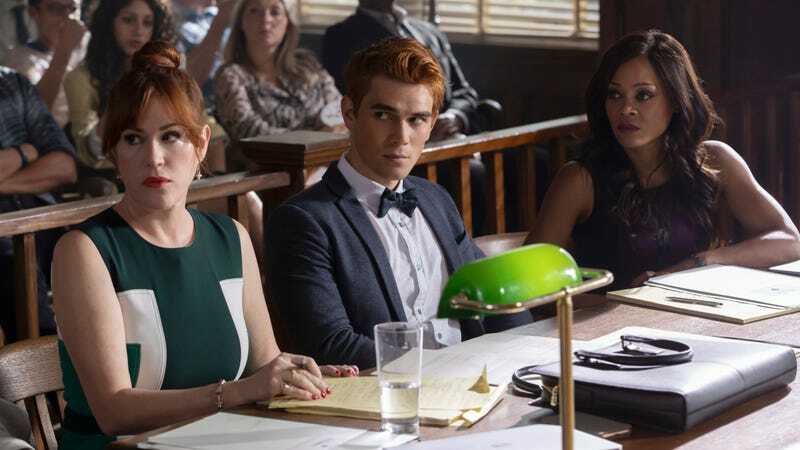 But while Archie’s on trial for murder, Dial M For Maple would like to take him to court for yet another terrible decision. In this episode, hosts Marah Eakin and Cameron Scheetz are on hand to debate the merits of the premiere, speculate the origins of the Gargoyle King, and sing the praises of series MVP Lili Reinhart. Plus, we ponder: Can babies really fly?